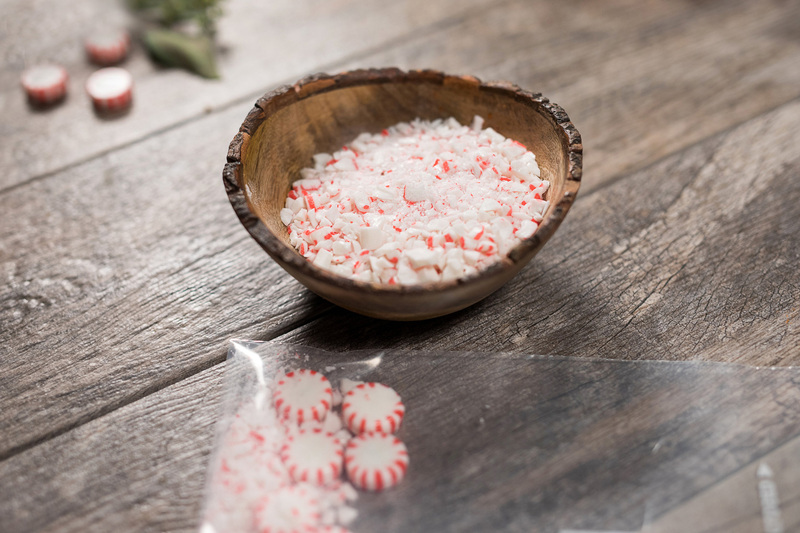 • Place peppermints in a large plastic bag and crush using mallet. 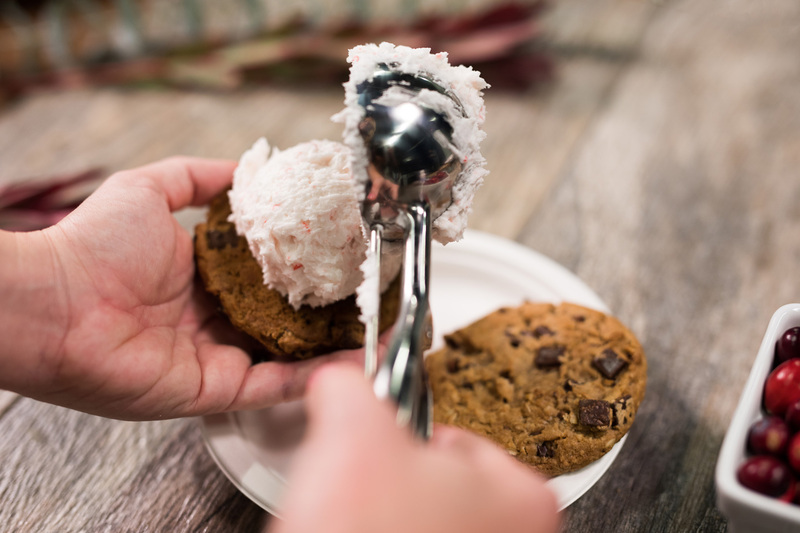 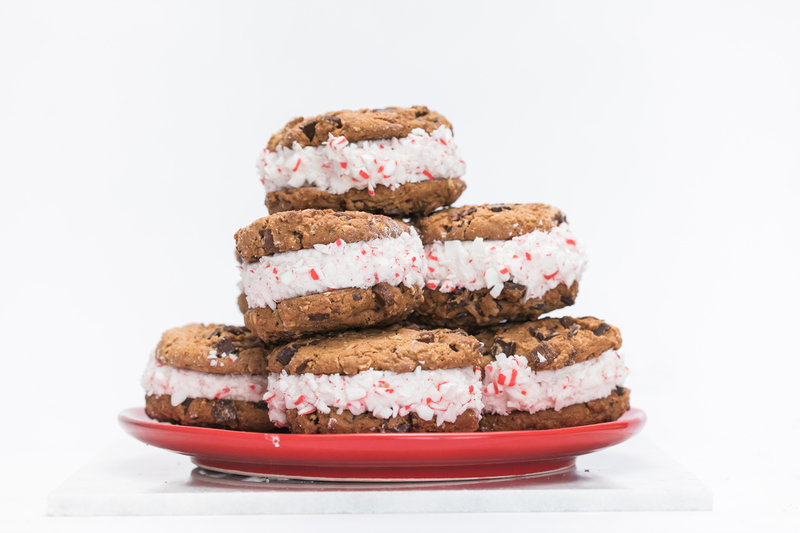 • Scoop slightly thawed peppermint or vanilla ice cream between two Chocolate Chunk Cookies. 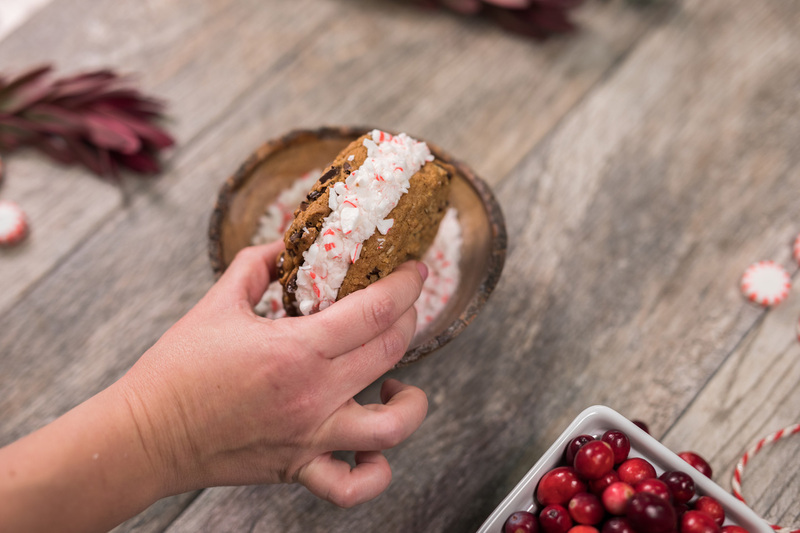 • Take your cookie sandwich and roll the sides in crushed peppermint pieces. 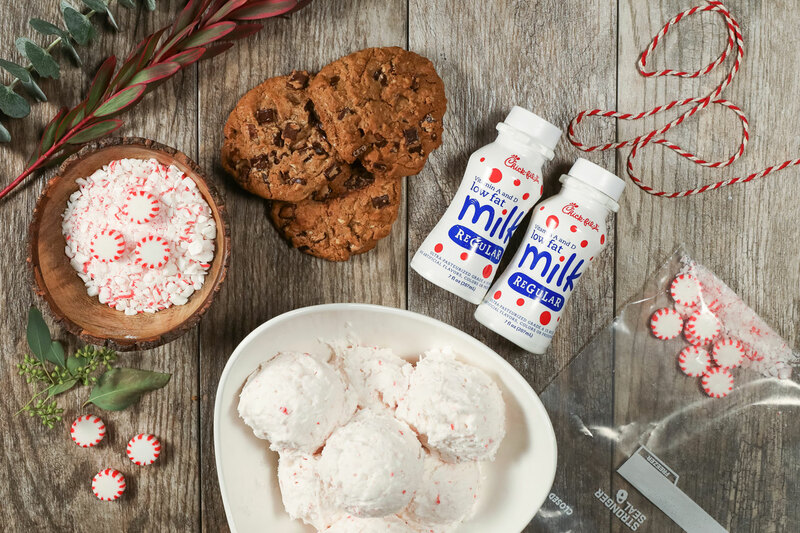 • Grab a glass of milk for dunking and enjoy!